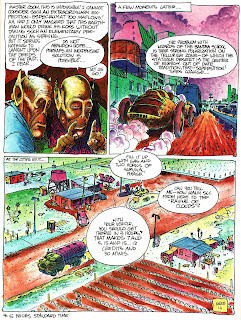 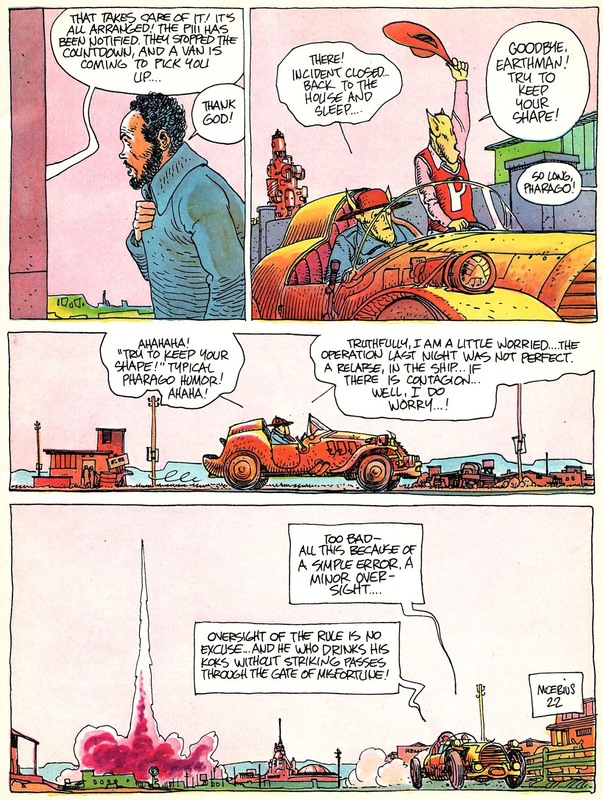 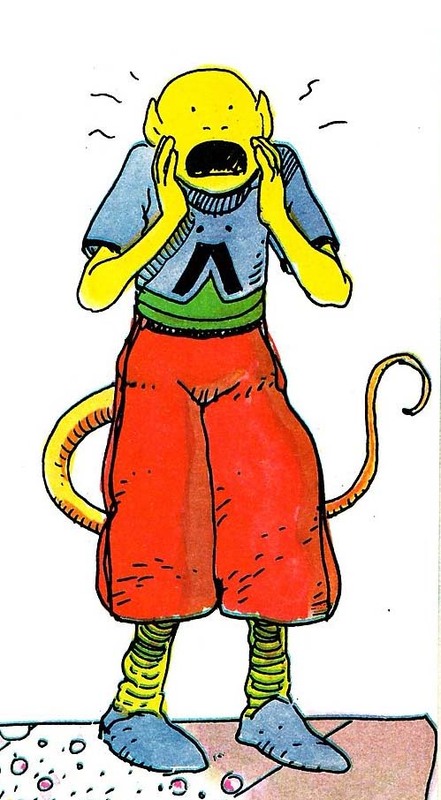 A bit of fun now from Jean Giraud, courtesy of the July 1980 issue of Heavy Metal. 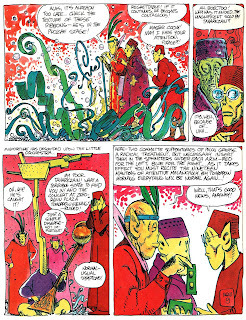 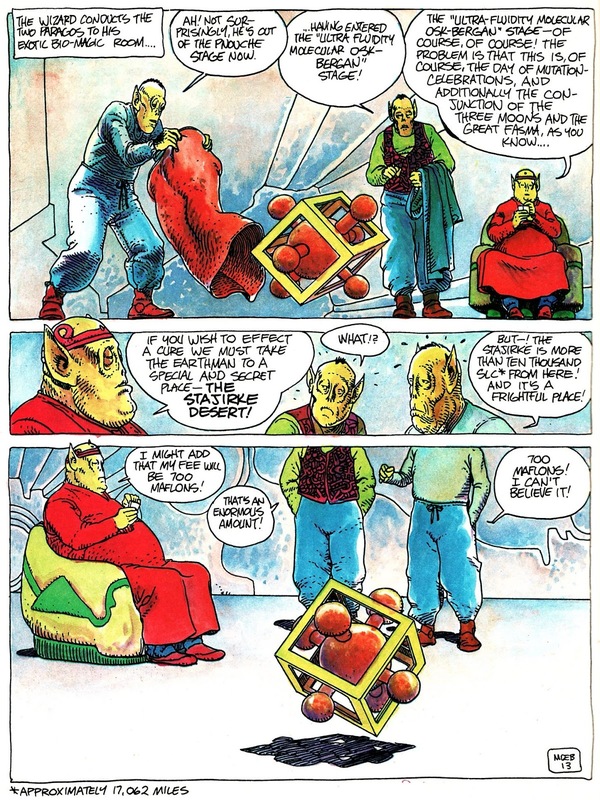 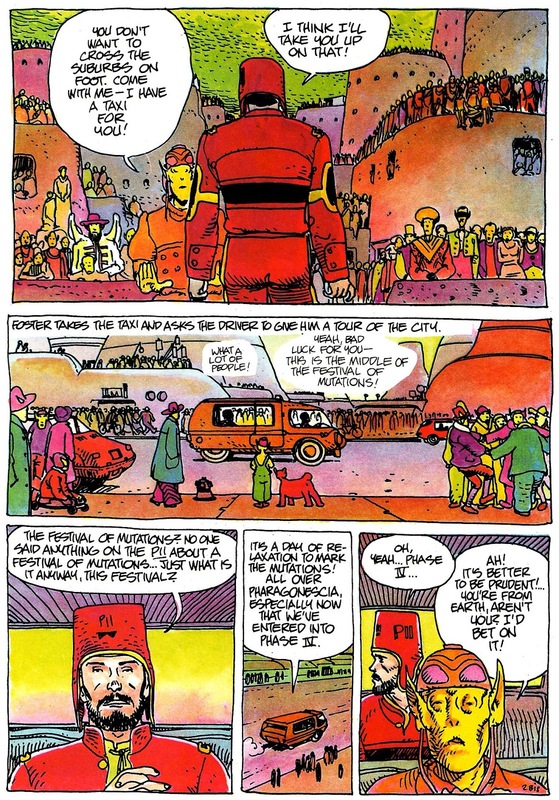 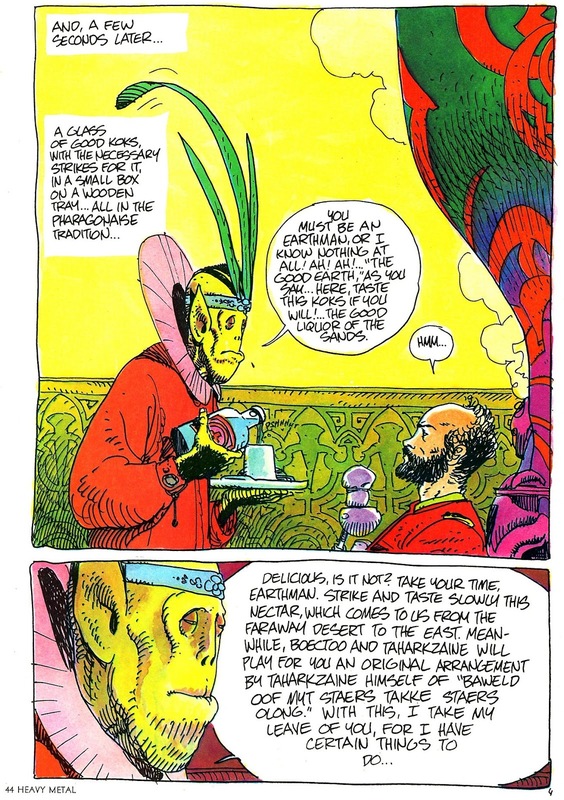 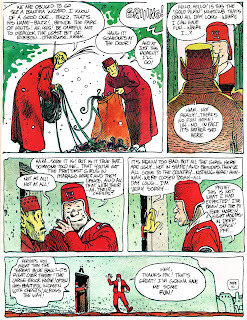 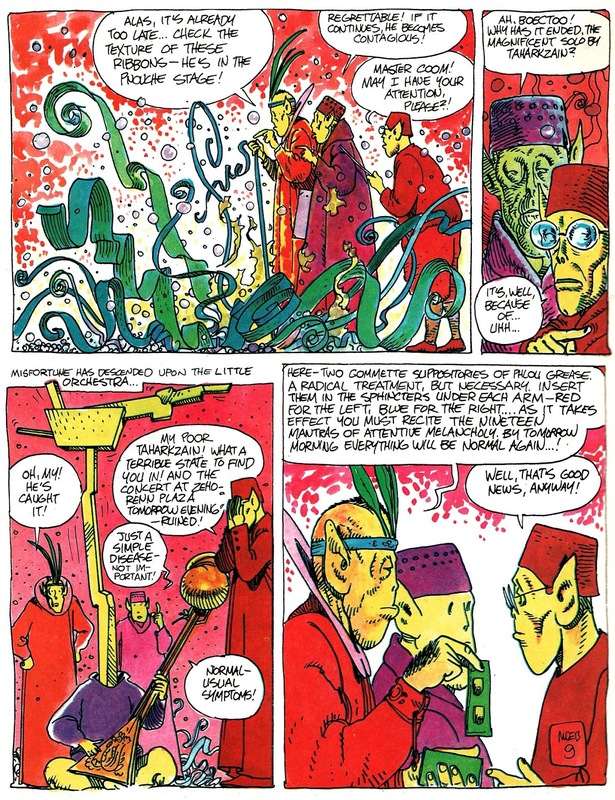 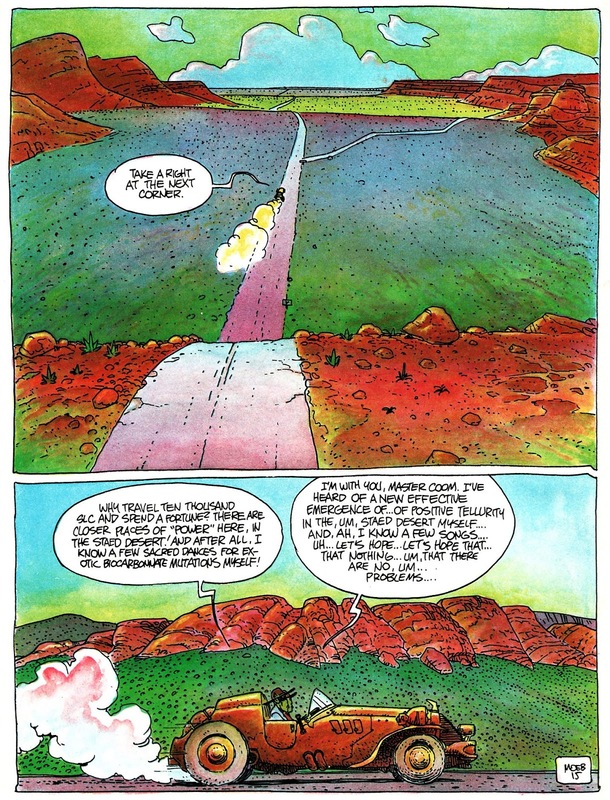 When this story was reprinted in the Dark Horse collection Exotics, Moebius revealed in his introduction that he'd done this piece simply for the hell of it, spending a couple of hours a night on it, after paying jobs, with no idea where the story was going. 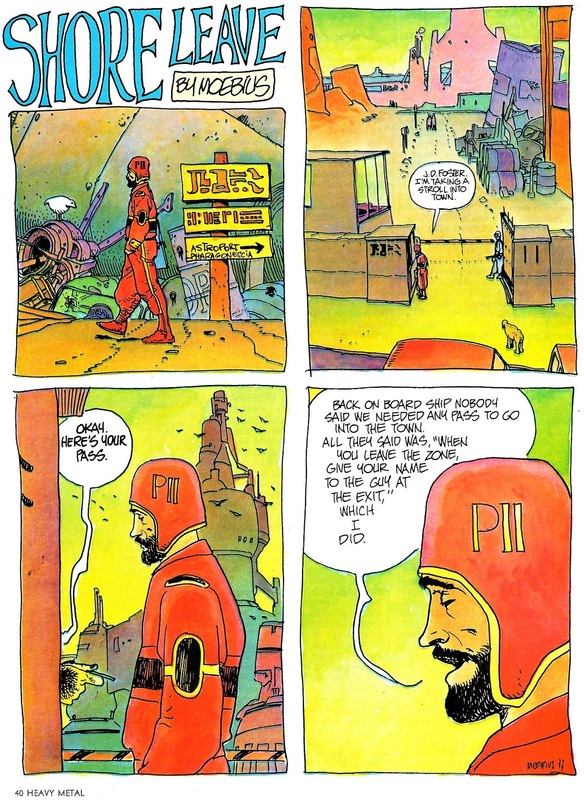 We should all be as productive in our off hours. 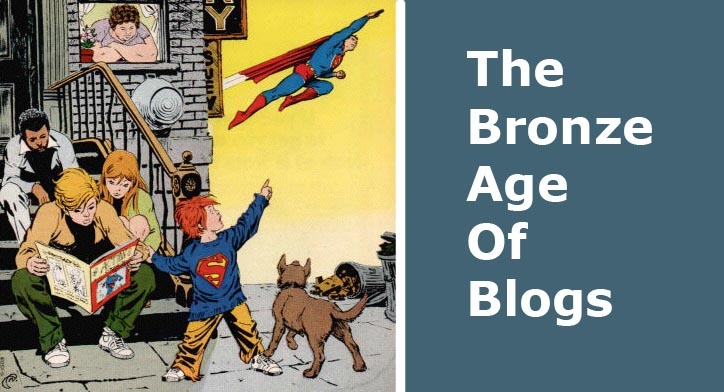 All of which is no doubt true, but what I like about this piece is the absolute matter-of-factness of the characters, as we peer through a window in space into their reality. 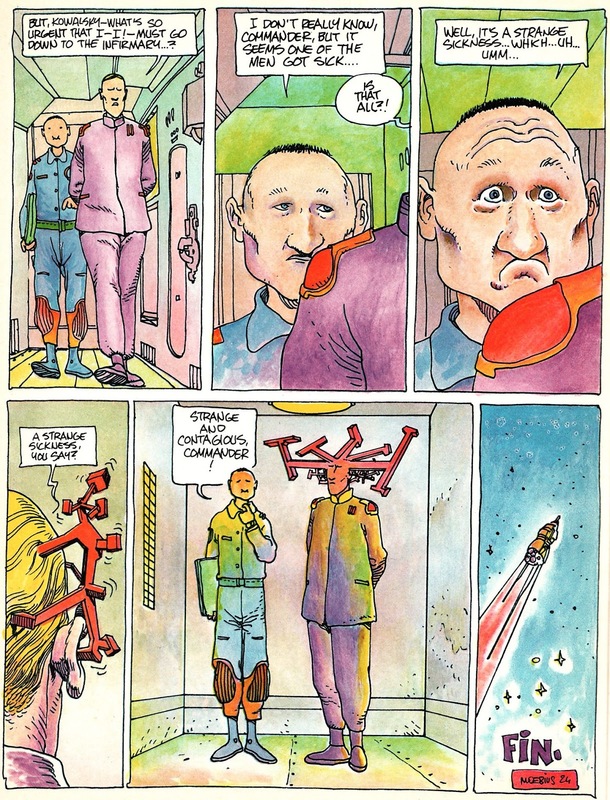 This is just another day for them. 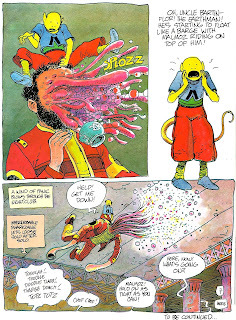 Thanks, Pete, for crazy little tale! 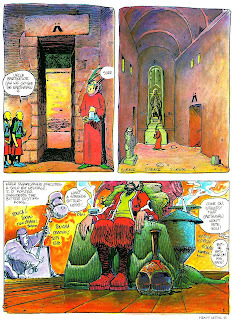 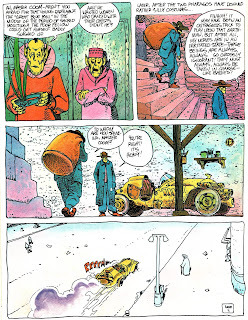 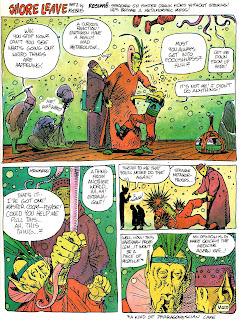 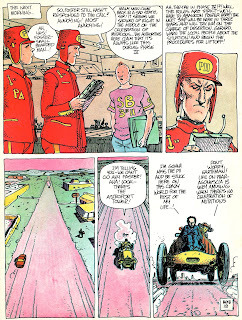 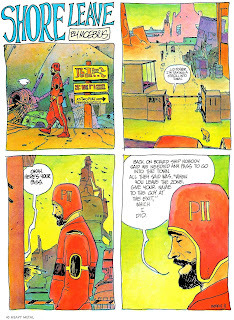 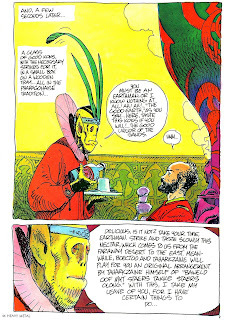 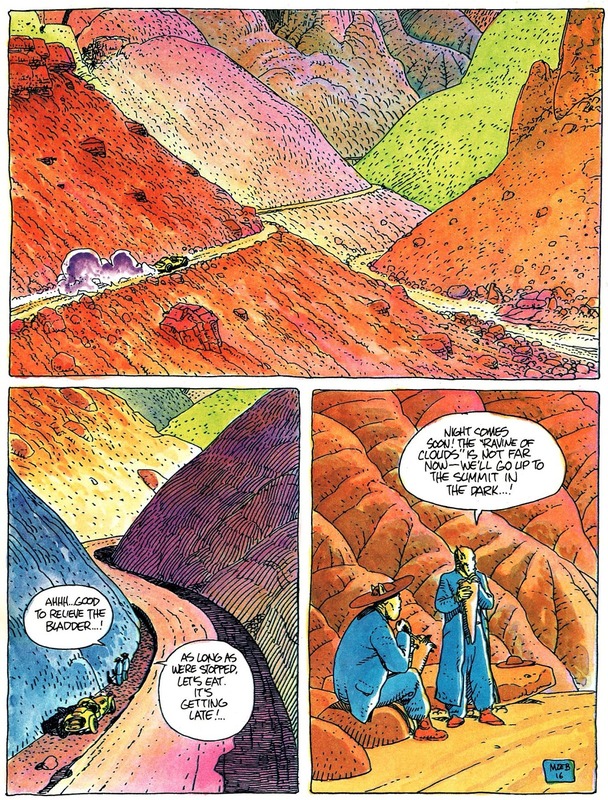 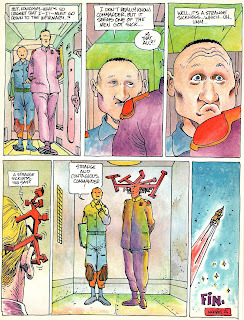 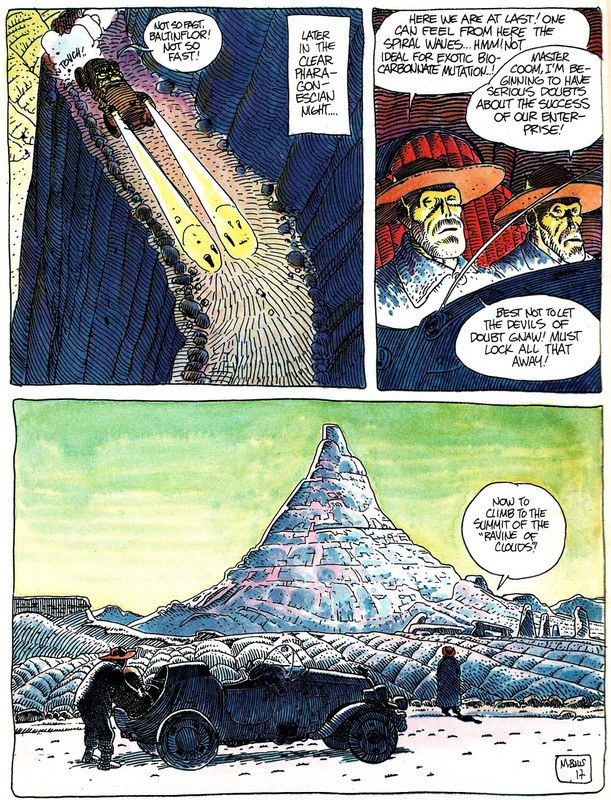 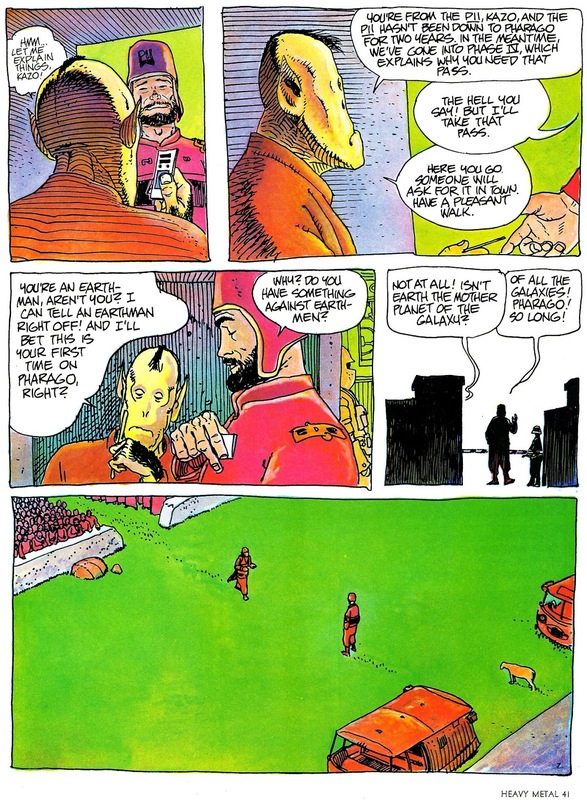 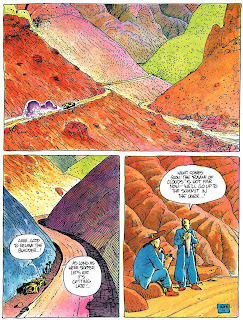 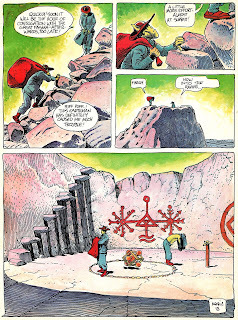 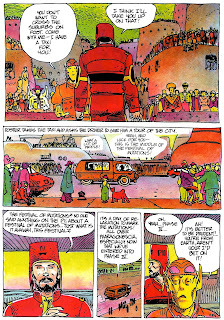 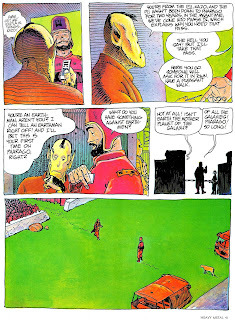 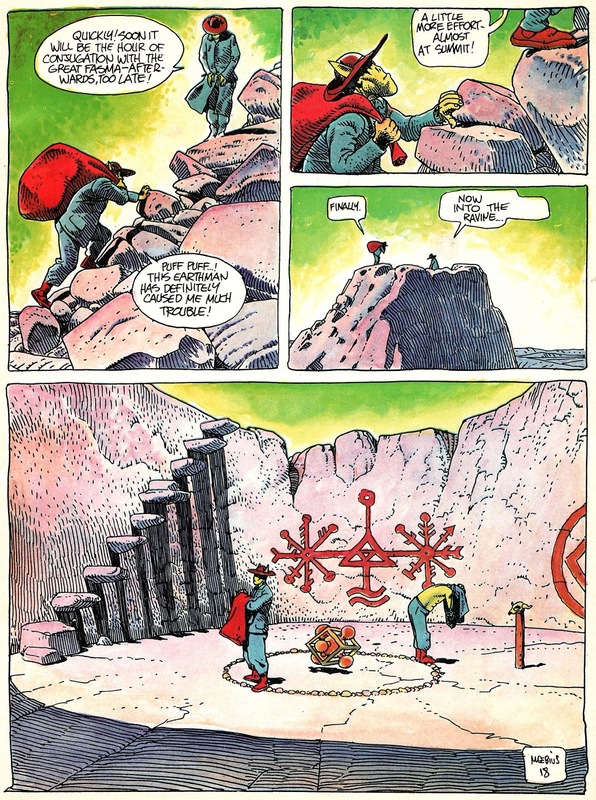 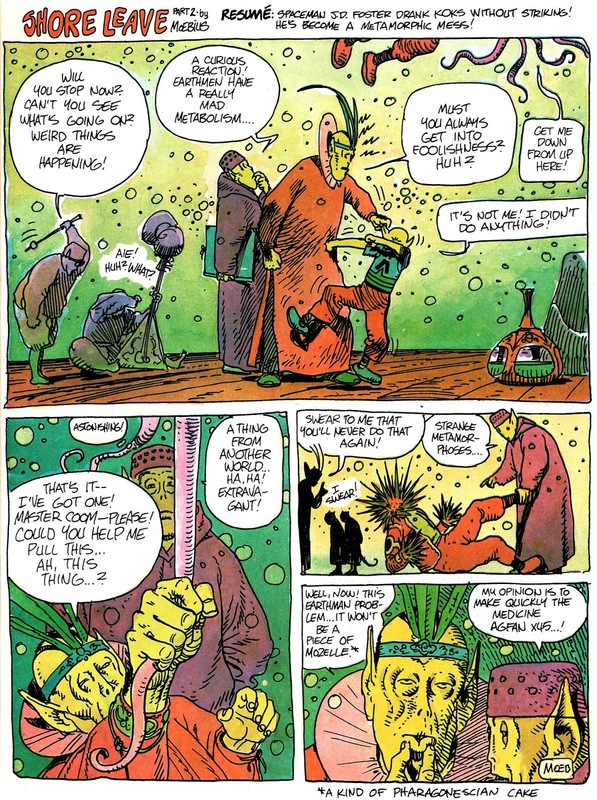 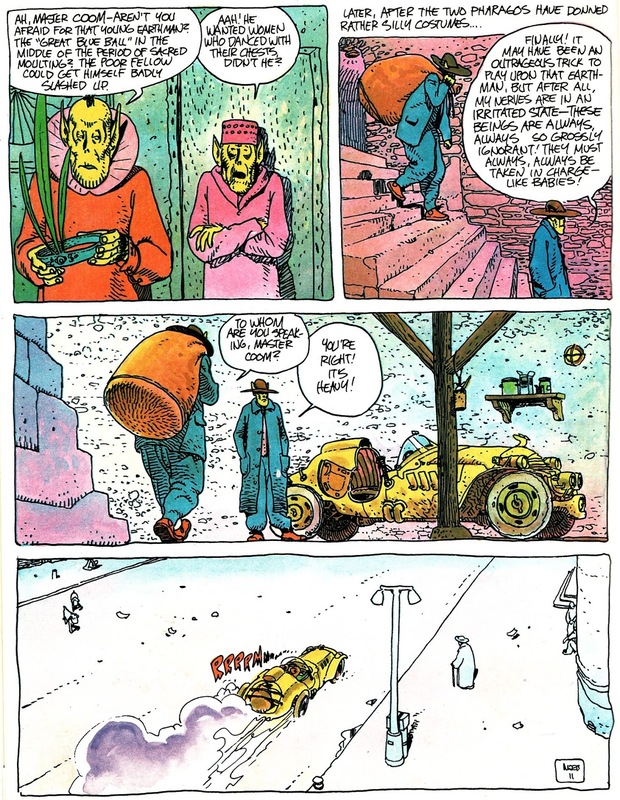 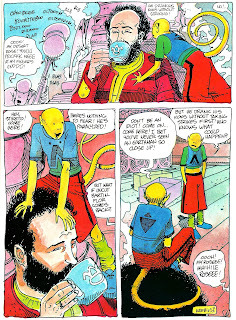 Always a treat to see some Moebius. 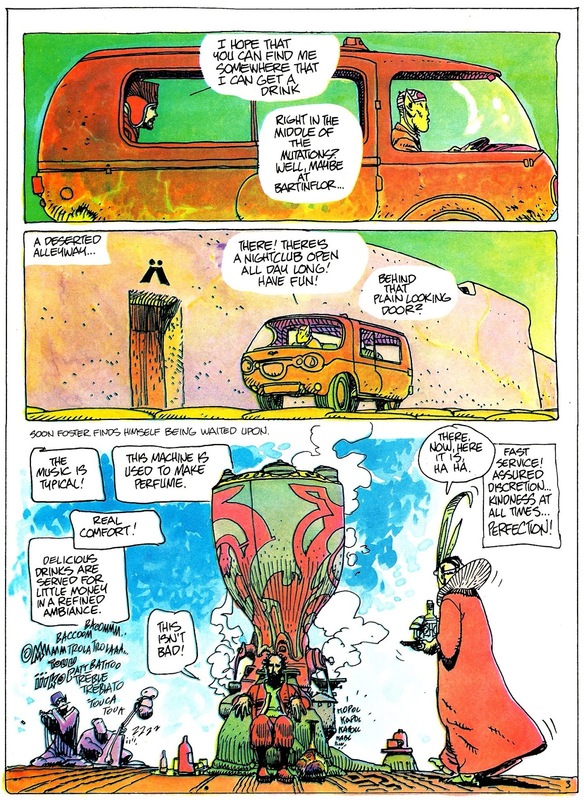 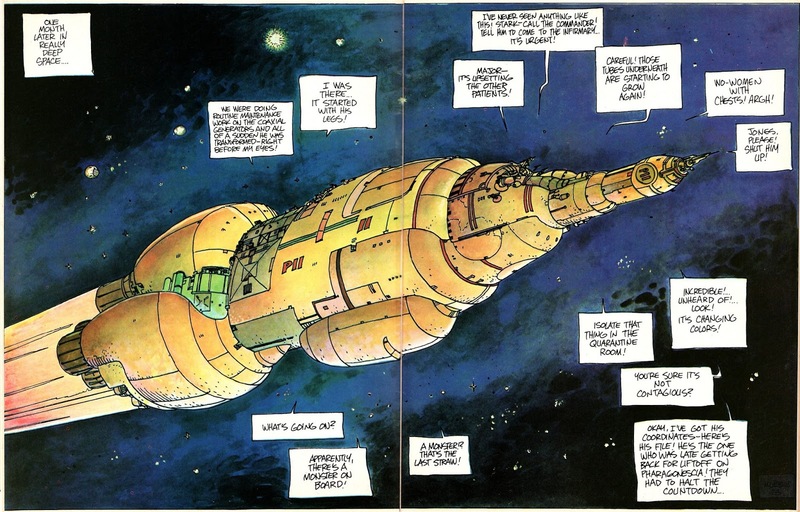 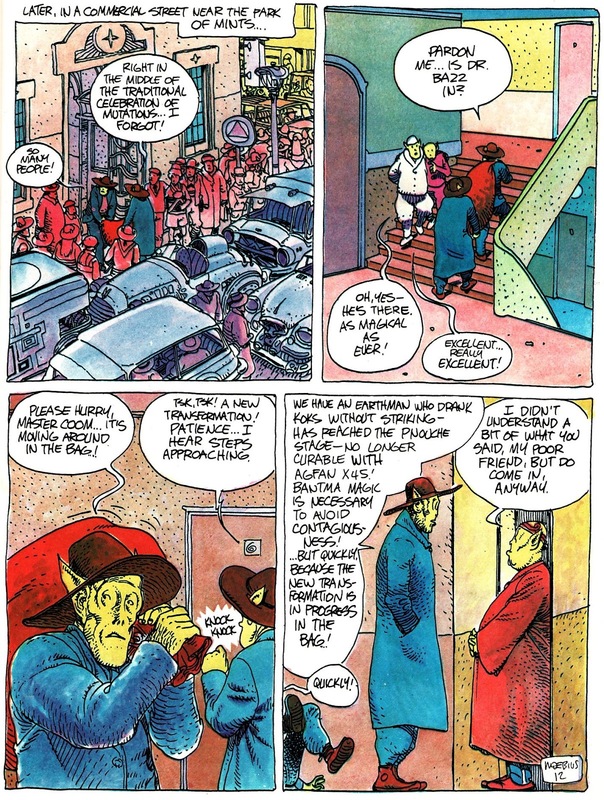 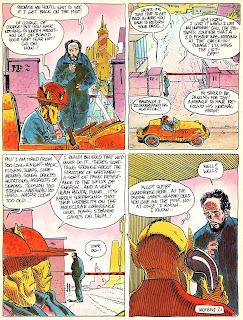 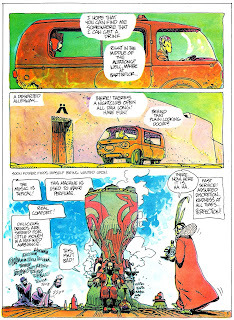 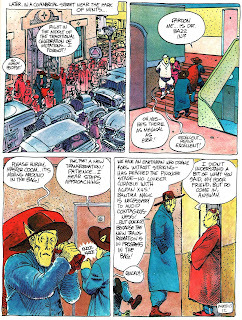 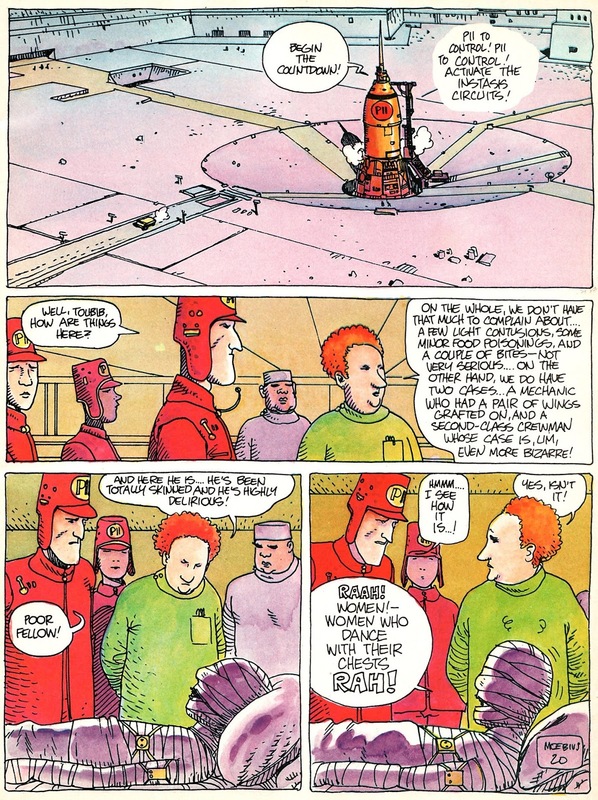 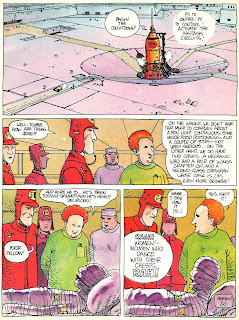 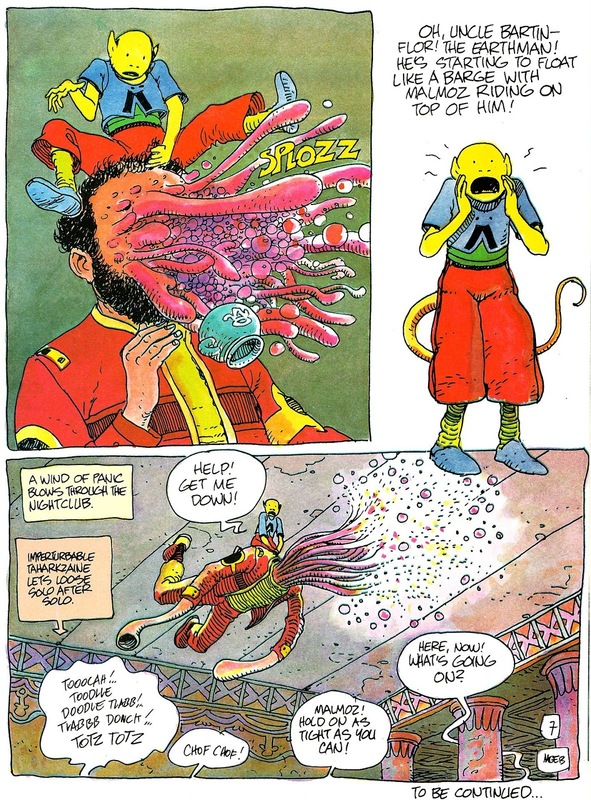 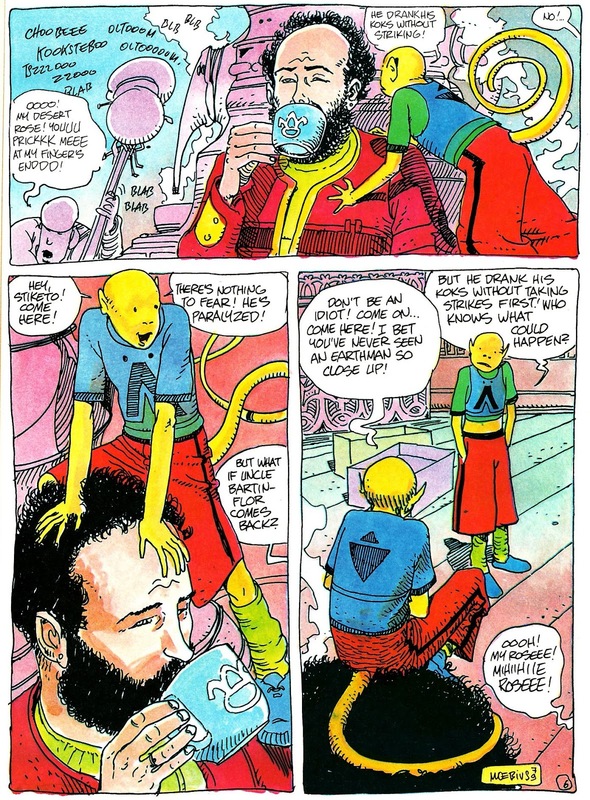 Moebius' Airtight Garage was also done that way, with no idea where the story would go. 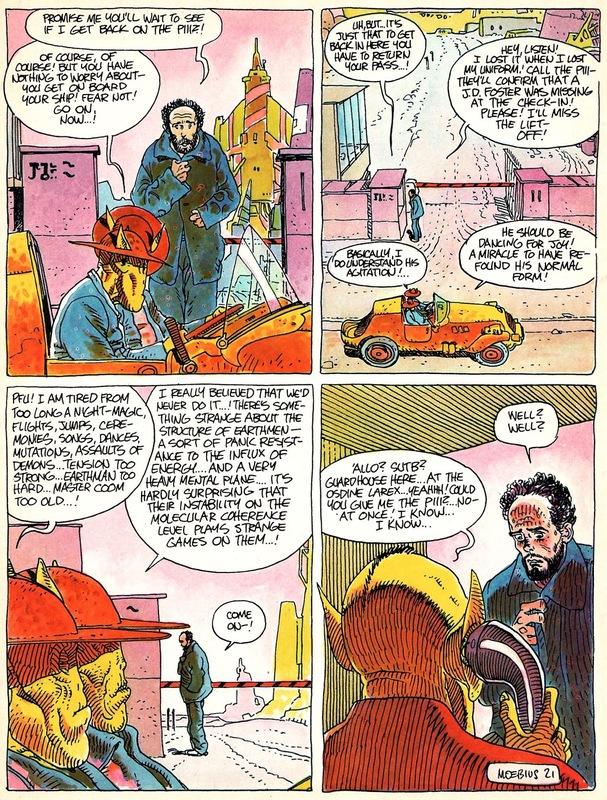 It's of special note that this story and Airtight Garage were drawn at the actual size of publication (on an A4 size paper, roughly a US letter size). 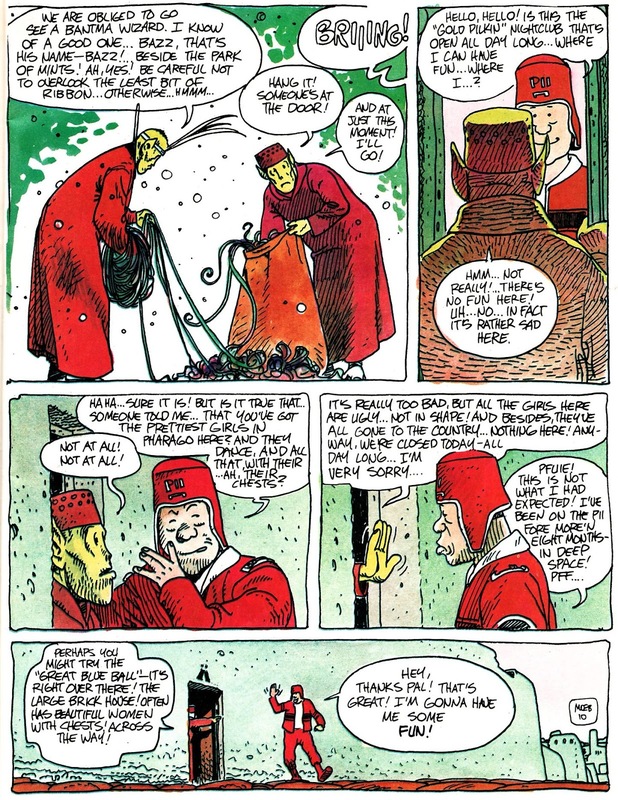 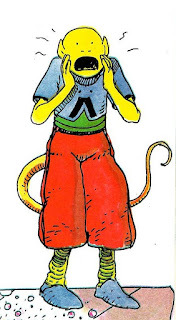 Most comics are drawn at 1 and half or larger size than the printed version.